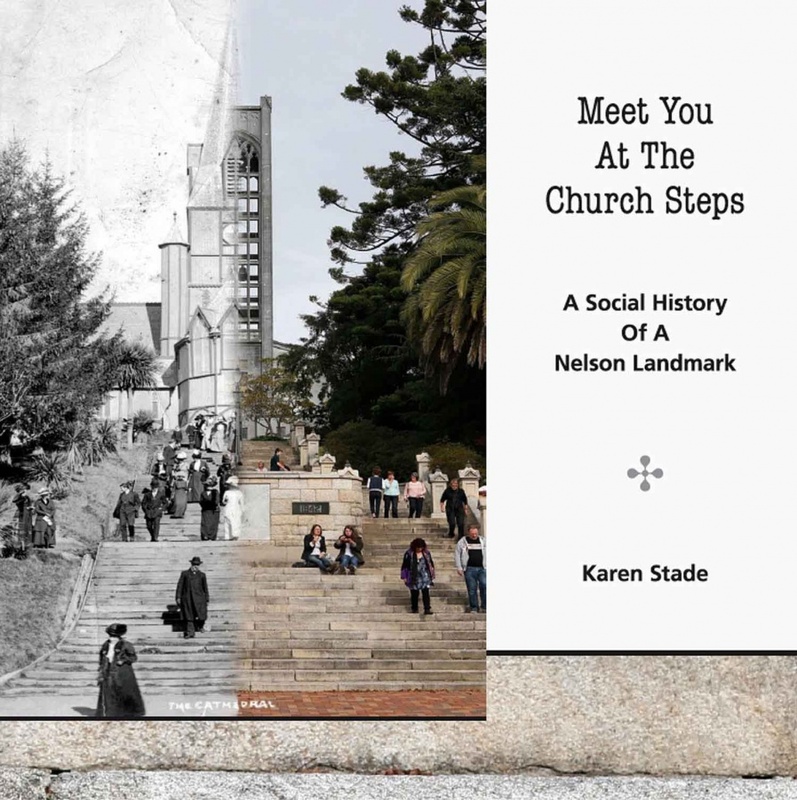 'Meet You at the Church Steps' is a call which continues to echo across generations. Launched 20 September 2013, the book captures the unfolding social tapestry that has played out on the historic steps for 170 years. The granite steps were gifted by philanthropist Thomas Cawthron and opened on 20 September 1913, replacing wooden steps built in 1858. Since then the Church Steps have been where people meet in celebration and adversity; to farewell and welcome back their soldiers; to greet royal visitors and other VIPs; to revel in Navy pageantry and to voice discontent and protest. Supported by the Nelson Provincial Museum Nelson Mail, the Cawthron Trust, Canterbury Community Trust, City of Nelson Civic Trust, Rob Packer and Ken Wright Postcard Collection.